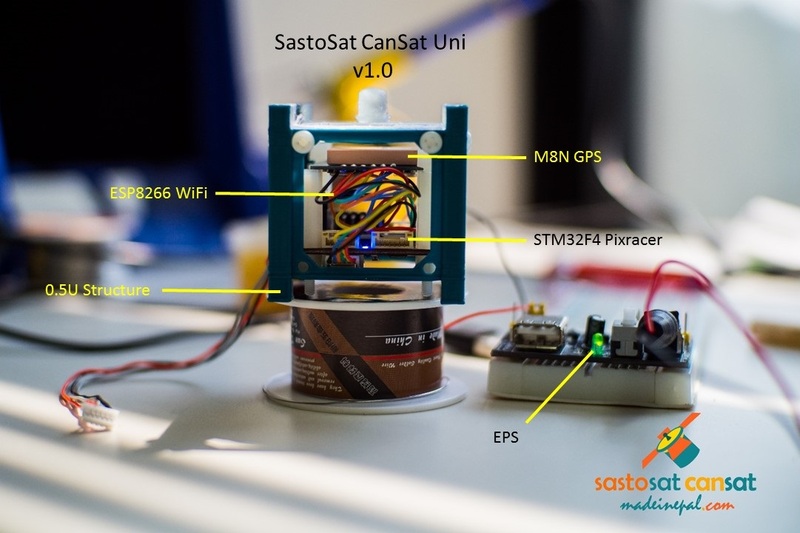 SastoSat Uni (SastoSat Basic + GPS + EPS) is gearing up towards completion as GPS has been integrated to the system. 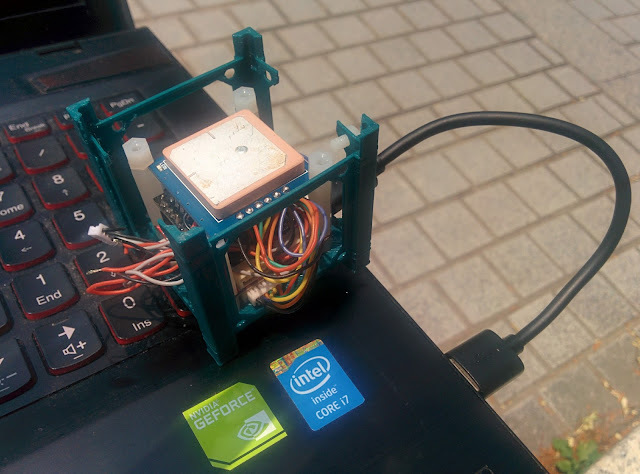 Global Position System (GPS) allows to locate the position of the CanSat and is a fun tool to analyze as maps are involved and not boring graphs. With QGroundControl, you literally track the object real time with no additional effort which makes things even sweeter. The only thing I had to be absolutely sure of was that I needed to switch the UART as Rx from one end had to be connected to TX of another end. 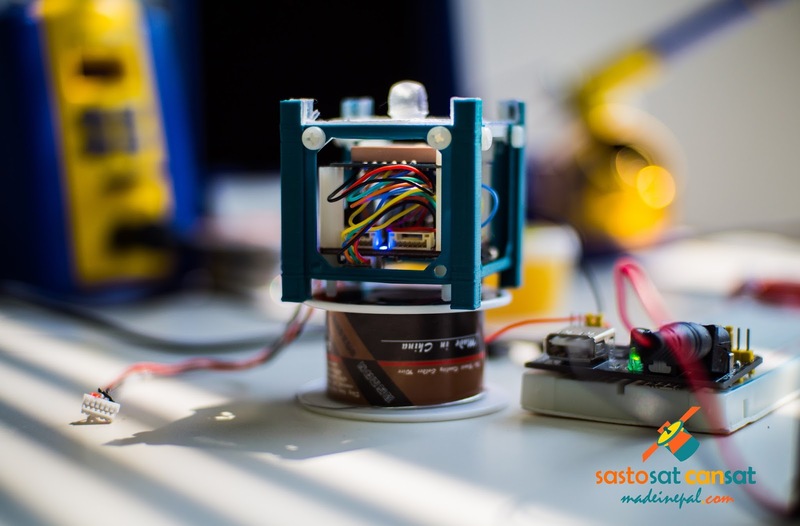 Components for SastoSat CanSat Uni. The next step to hardware integration is the Electrical Power Supply (EPS). The 3.7V 500mAh batteries have already arrived but I am still waiting for the power supply circuit board to arrive. We will have the testing results once I have it done.